This gift has been delivered so I can show the final result (it was a secret WIP in this post). It is a granny square cowl that I made for a friend's birthday. Liv is modeling the doubled-up way to wear it and here I am wearing it as a single loop. In hindsight, I think I made it a little smaller than I would have liked (I did just six granny squares), but it fit (tightly) doubled over my neck too, so hopefully my friend will get some use out of it. I went with a neutral color scheme with some brights mixed in to make it more fun. 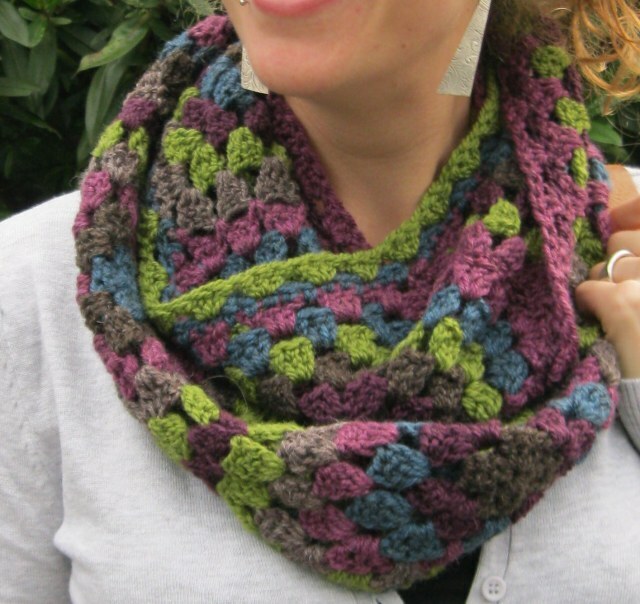 I think you could easily make this cowl look a million different ways. 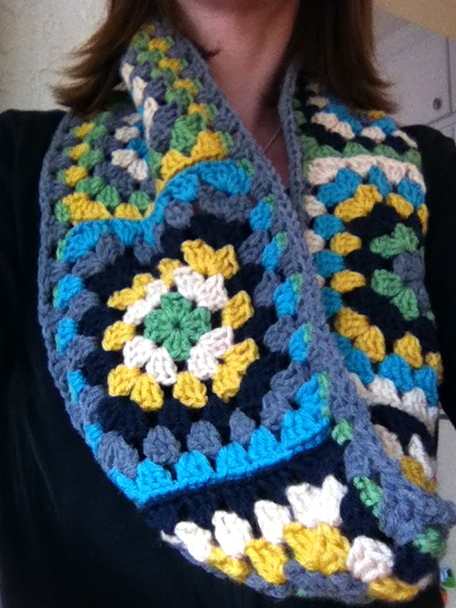 This is the original color scheme that Alice at Crochet with Raymond chose...love it! 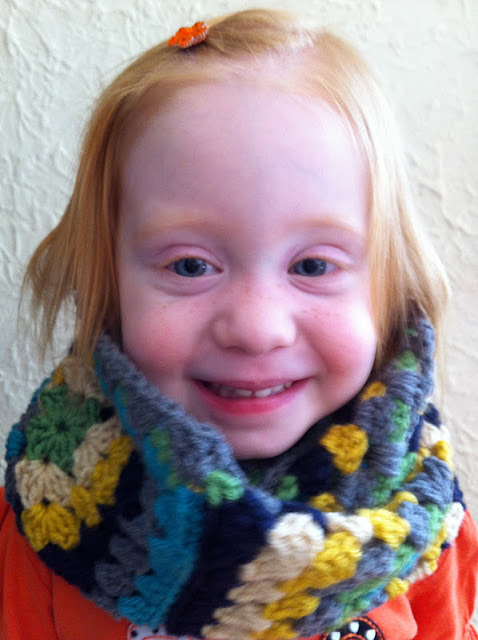 You can find her pattern for the Granny Cowl here.